I consider it imperative that we all practice what we preach. This simple way of life is apparent throughout this site. It is my goal to instill credibility back to an industry that has been tarnished by false promises and bogus contraptions. I am all for simplicity in terms of training, and programming. My time is spent in the gym with real athletes, experimenting with various protocols, and constantly researching new ideas and methodologies. If you want to get in shape, steer clear of the complicated nonsense that clutters the web. The real secret is to show up, remain consistent, and find ways to regularly challenge yourself. Even one of the three will put you ahead. The human body can be challenged with almost anything (including bodyweight). This is particularly true amongst recreational athletes. 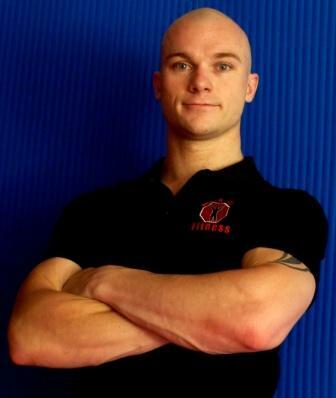 Level 3 Personal Trainer nationally recognised. Coached sporting clinics for children in diverse range of sports. Enjoys and maintains a high level of physical fitness and wellbeing. Extensive fitness training including strength & conditioning, Boxing, Kickboxing, MMA. Over 20yr experience in Martial Arts. Competed Nationally with AFL, Swimming, Volley Ball and Karate. Competed Internationally with Rugby League. Pretty season conditioning for Cricket, Soccer, AFL, NRL. Fight training for Boxing, Kickboxing, MMA, BJJ. Elite training for Special Forces. I am not here to tell you what to train for, but rather to help prepare you for the goals and challenges that interest you as an individual.